Powerful and well-balanced clearing saws and brushcutters created to handle tough, long and demanding shifts. The engine is designed to provide maximum power but with low vibrations and reduced fuel consumption. The gear heads are specially developed for professionals, in order to maximize your performance. All features are combined to create equipment that is strong, easy to handle and make the toughest work easier. 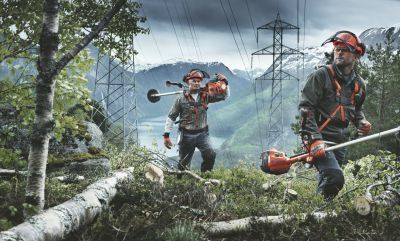 For more information on Husqvarna's forestry clearing saws, visit this page.